When it comes to monitoring physical activity, we’ve come a long way from pedometers that only counted steps. 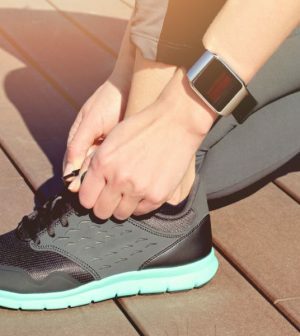 Today’s health trackers use sensors to monitor movement and store and analyze the data. You can track calories burned, calories consumed, your heart rate during and after exercise, and even how long you sleep. Like a personal coach, a tracker can motivate you to reach goals and strive for new ones. It’s important to note that not all wearables perform equally well. A number of studies have compared the accuracy of many brands in lab tests to real-world activity. Their ability to estimate steps, distance, physical activity, energy expenditure and sleep can vary, but so do results from the various studies. For instance, one study found that step count and sleep time were recorded most accurately, but total daily energy expended less so. Such discrepancies aside, tracking your progress, even simply the number of steps you take toward the suggested goal of 10,000 a day, can be helpful. Before you invest in a device, you might want to first test an app to see if you’ll actually use it. Next decide on your budget — a good wearable can run well over $100, depending on its functions. Determine the type of wearable you want, such as a bracelet or watch for your wrist or a clip-on device that’s less noticeable. Choose one that works well for the sport you want to track, whether that’s walking, running, swimming or cycling. Read reviews about the app that comes with the device — that’s what enables you to track progress and interpret results. Does it work on its own or with a smartphone? And will it work with your smartphone? Your cellphone may already have a health program, like the Health app on the iPhone. If you’ve never opened it, you may be surprised to find that it’s already saved a lot of information about your activity that you can use as a baseline for future monitoring. Consumer Reports has a fitness tracker buying guide to help you understand more about your options.